1-OWNER, owned in Arizona since new! Features include power windows, power door locks, push button start, cruise control, hands-free phone capable, steering wheel audio controls, AM/FM/CD player, XM satellite capable, navigation system, backup camera, heated front seats, cup holders, console, air conditioning and more. This has 18" Konig aftermarket wheels and the tires have good tread on them. The Black Uni exterior shows nicely with no pronounced damages or flaws in the paint. The 2-Tone Black/Ceramique upholstery is in good condition with no considerable wear or tears present. 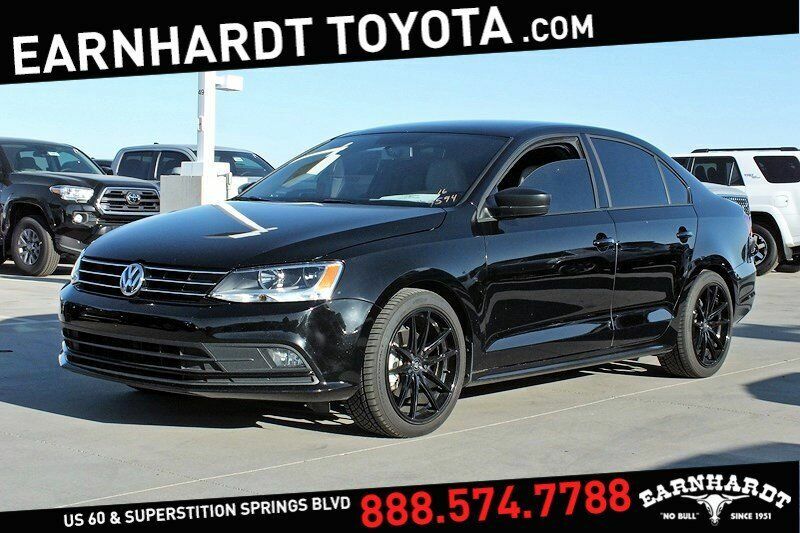 This has been well maintained and currently has 55k miles, you're going to be proud to call this sporty Jetta your own!